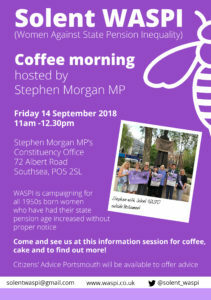 WASPI is campaigning for all 1950s born women who have had their state pension age raised without proper notice. 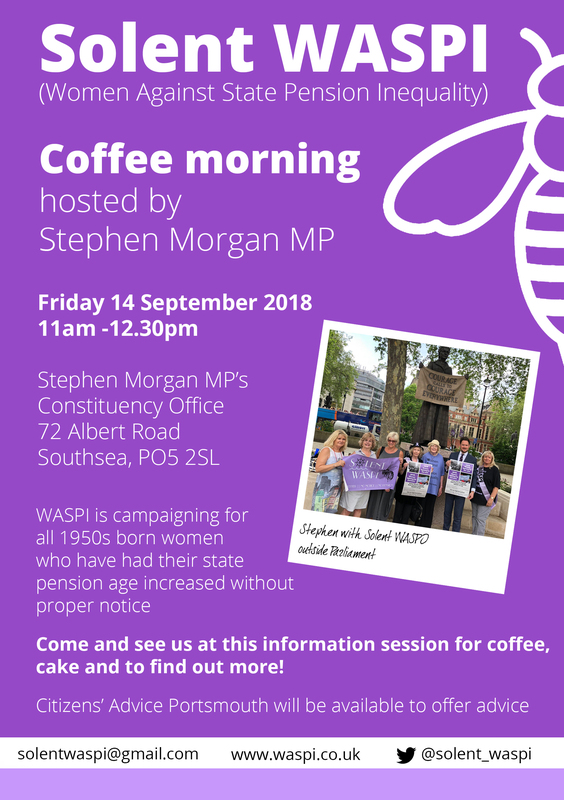 If you are a Portsmouth South constituent affected by this issue, come and see us for coffee, cake and to find out more. Citizens’ Advice Portsmouth will also be available at this information session.